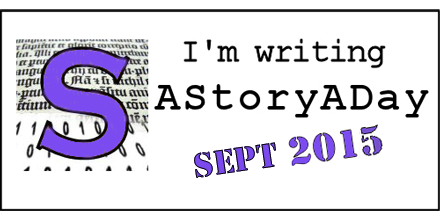 I’m taking part in the StoryADay September 2015 challenge. The main reason being to explore my characters from the Morgan and Fairchild Series. I will endeavour to incorporate the daily prompts, though, as it’s a continued tale, it’s not strictly a story a day. It’s more a story within a story. I’ve given myself a word limit of 600 words (I’m slight over today). Prompt: Sept 3rd – The Maze (Your character is lost in a maze). Recap: Justin Chambers, part of the team at Morgan & Fairchild, is approached by a friend who needs a favour. Justin accepts the missing person case, and agrees to look into it in his own time. The familiar sounds of battle settled around Ellen; the slam of a punch, the ragged breaths, the pounding feet. She could practically feel the accelerated heart rates. JJ was an exceptional boxer, but he’d taught Justin well and the kid had some moves of his own. That the fight was friendly didn’t matter, they went all in. When JJ staggered back against the ropes, and Justin made no move to attack, Ellen threw a towel at him. “You’re getting old, tough guy,” she said, winking at Justin. JJ ducked beneath the ropes and jumped to the ground. He made quick work of his gloves and walked to the tall fridge to pull out two bottles of water. He handed one of them to Justin, who was only a few steps behind him. “I think you might be right. Either that or Justin’s working off one of your moods.” JJ downed a third of his bottle. Ellen stared after him, wondering at the comment. It was both a diversion and a dismissal. Ellen couldn’t argue with the fact he wanted to be alone. She conceded only because she knew JJ was still around. If she knew her friend, she knew he’d picked up on Justin’s mood too. Justin nodded, and walked over to one of the punch bags. Their underground training facility was equipped with everything they needed. If the kid needed to work of his mad, it was the perfect place. Ellen stepped out of the room with the sound of pounding leather at her back. It was so familiar it shouldn’t have bothered her. Yet it did. I had to go subtle today. Justin is lost, though not strictly in a maze. It’s more an emotional prison he’s caught up in, and looking for Paul’s friend is a little like trying to find a needle in a haystack! You’re making me think of Schreck’s Duffy Dombrowski. What a great character! Love that series. Nicely done; the line about the ‘wife’ is intriguing – love the way you leave this trails like an incontinent snail…did I really write that!